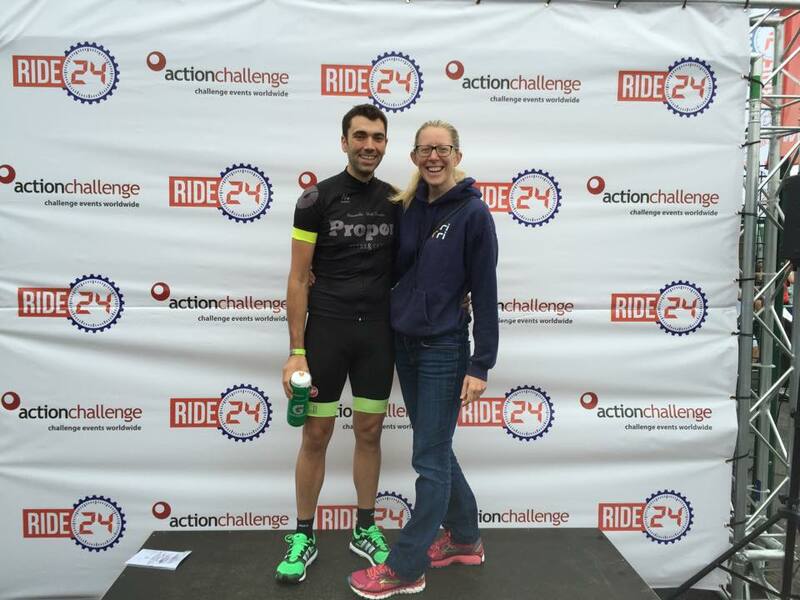 Over the Summer, Brighton Tri Club members have been challenging themselves all over Sussex. Members have raced in local triathlons, taken part in OW swims as well as a series of cycling sportives. For some however, the challenges laid further afield. Earlier in the season, members peppered the UK in blue and gold as they took part in triathlons up and down the country (Windsor, Deva and Stafford Half). This August presented more opportunities to branch out of the south downs. 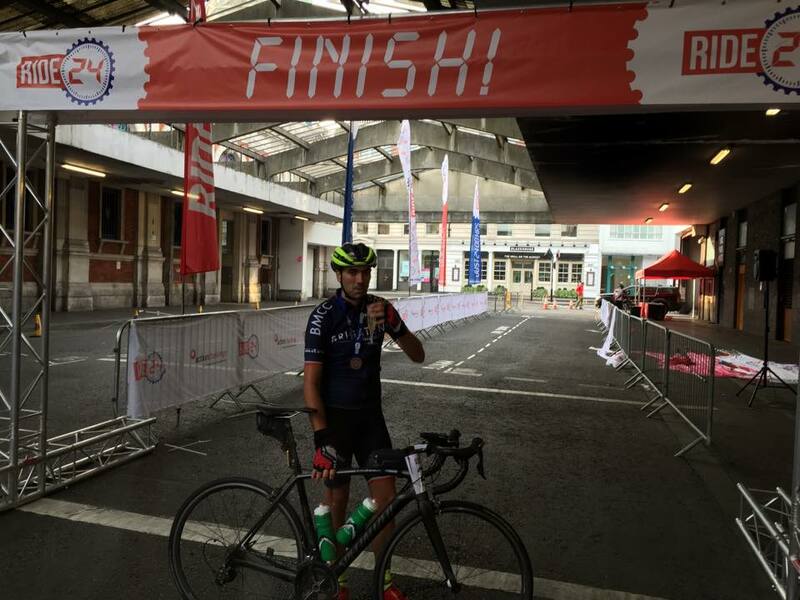 Last weekend Bri Tri's Russ Bickle competed in an endurance cycling race from Newcastle to London. The route of 305 miles was divided into 7, 35-50 mile stages. Starting at around 11am in the Toon on Saturday, riders cycle through day and night with the hope of reaching the capital some time on Sunday, desirably in under 24 hours. Thanks to a combination of the live tracking app and Russ' support crew, Gill we were kept up-to-date with Russ as he scaled the country. The intimidating number of miles was clearly no problem for Russ who maintained his pace as he passed through checkpoint after checkpoint. Russ arrived in London 20:25:14 after leaving Newcastle. To complete such a race is an incredible achievement and we are delighted to announce that not only did Russ finish, he placed 3rd! The inaugural IRONMAN event in Scandinavia took place in Kalmar in 2012 and the event has quickly become an athlete favourite. This year two Bri Tri athletes travelled to Sweden and returned as IRONMANs. Amy Jordan and Russ Thorpe took on the course; 2.4 mile swim in the Baltic Sea, 112 miles on the bike, including 6km over the long bridge to the island Öland, a popular spot for tourists from around the world, and a 26.2 mile run through central parts of Kalmar with the finish line located on the main square. Awesome effort from both athletes! You can read Amy's account of IRONMAN Kalmar on her blog here. Laura Campbell and Paul Hutchings were amongst the 1,450 triathletes that competed at Outlaw this year. Outlaw, an ironman distance triathlon is hosted at Nottingham's National Water Sports Centre. Both athletes finished in fantastic times, Paul in 11hr 43 and Laura in 12hr 33 with an impressive swim, coming out the water in 3rd place in under an hour!